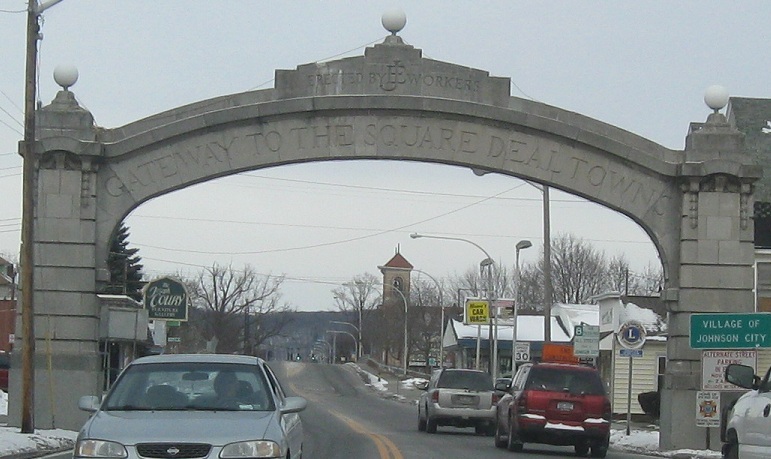 The western part of NY 17C is old NY 17. 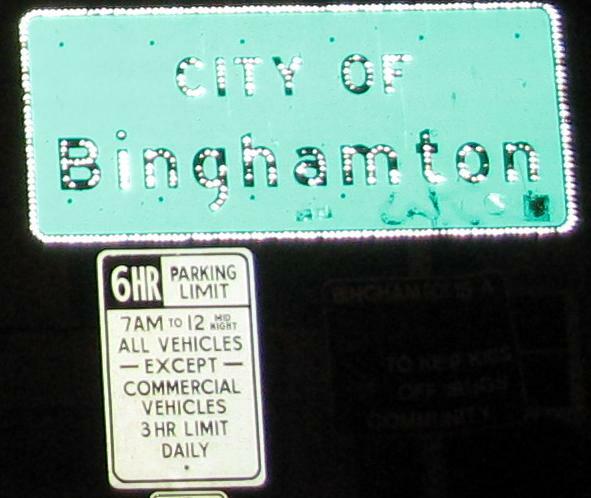 In Owego, old 17 crossed the Susquehanna River and used NY 434 to Binghamton, but 17C continues on the north side of the river. 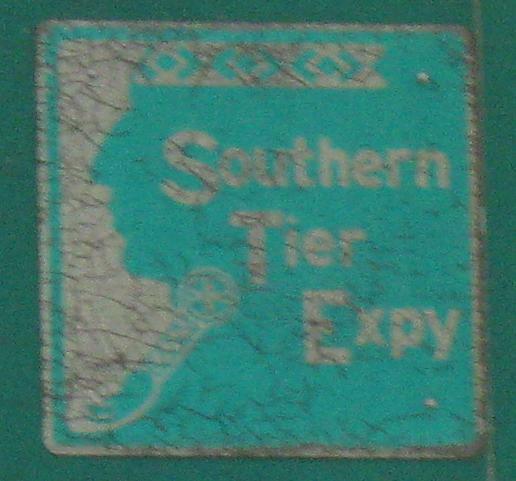 Upside-down NY 96 shield, courtesy Doug Kerr. 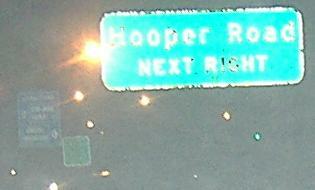 This goof is understandable, since 96 upside-down is still 96. But there's a correct shield right above it! How hard can it be? 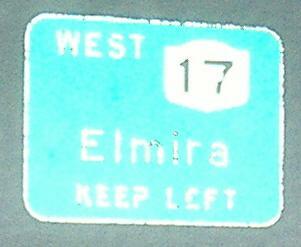 Dirt-old EB sign at the NY 17 Exit 65 connector, with a closeup of the dirt-old STE shield. NB on that connector. Too hard to find a spare shield or two? 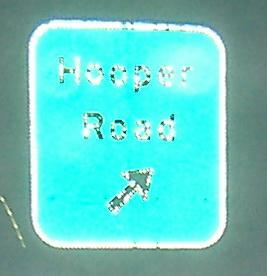 NY 17C eastbound at the beginning of the NY 26 duplex. 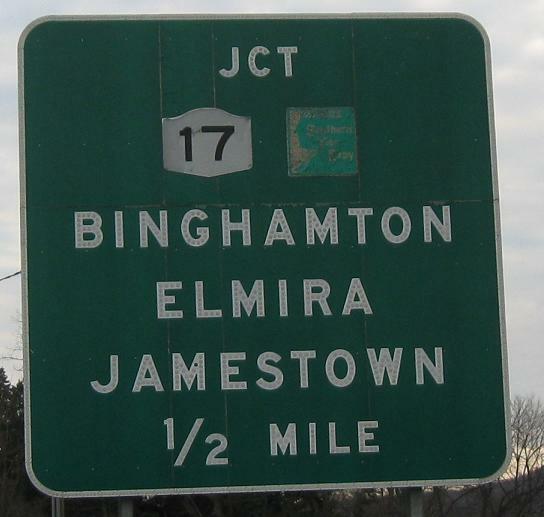 Bike Route 17 follows NY 17 closely across New York, and some counties as you can see here add their own routes - but for counties to indicate that the routes being signed are indeed county routes is rare (most other signs just say 1, not Broome 1, for example). 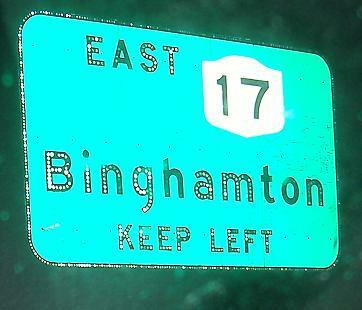 Eastbound at NY 17 Exit 69, where NY 17, NY 17C, and railroad tracks are all packed in tight, just west of Binghamton. 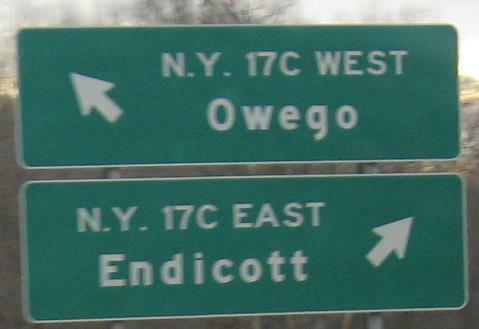 A little bonus westbound, continuing past NY 17 to a trumpet interchange in eastern Endicott. Old stuff in Johnson City, NB at the end of Floral Ave. and looking west at the Binghamton city line. Last bit of button copy, EB.